Amateur Bodybuilder Of The Week: Be A Zen Muscle Master! Aramis found motivation through the power of Zen, martial arts, and bodybuilding. See how his structured lifestyle supercharged his mind and body! I was an easy-living, funny, and lazy guy who played lots of video games, ate, and joked around all day. I wouldn't say I was fat during my childhood, but for a long time I was chubby. That said, although my body didn't look like it, I was sporty. I tried many sports as a child including soccer, table tennis, badminton, gymnastics, and martial arts, which I started studying at age 8. I admired characters like Batman, Superman, and Son Goku from Dragonball Z, but never had the motivation or discipline to change my body. At age 15, I was 5-foot-8 (1.73 meters) and weighed 154 pounds (70 kilograms) with 19 percent body fat. My change of thinking came from a long inner process of growing up and through martial arts, which educated me most. After years of training, I realized there was more behind the art than just cool movements, physical techniques, kicks, and punches. After years of martial arts, I realized there was more to learn about discipline, focus, respect, visualization, patience, and ambition. You have to work hard and relax to stay focused and keep your emotions under control. Patience was the key to my goals and dreams. I started to get better in school and practiced acting, singing, and composing, and played piano every day (my dream is to work as a singer/actor). Zen, martial arts, and Bodybuilding have much in common. At age 17, the changes in my mind started to reflect on my body. Sadly, at that point, I had no idea how to diet and get in better shape the right way, so I only did push-ups and crunches every day and lots of cardio. I ate less, but wasn't healthy and made mistakes. At age 18, I was 5-foot-9 (1.75 m) and weighed 143 pounds (65 kg) with 6-7 percent body fat. I lost fat and had a good muscle foundation, but I was thin. There were side effects. I often had no energy, was powerless, and my skin got dry and my hands and feet got cold. I searched for answers to do it the right way. I studied, read, and signed up at different Internet forums to get structured. I joined a local gym and used my newfound knowledge throughout the past few years to get stronger, heavier, and faster. In October 2012, I competed as a natural bodybuilder at the German Championship of GNBF (German Natural Bodybuilding Federation), but broke my left hand in April 2012 during a martial arts workout. Luckily, it didn't throw me back; it made me stronger and more motivated to make the championship in October. In July 2012, I started to prepare for four months on a strict diet and training plan. It was a great mental experience that ended with me taking third place in the junior class. I also won the best posing award. I was 21 years old and weighed 161 pounds (73 kg) with 5 percent body fat. Being happy doesn't mean I'm satisfied. My lifelong goal is to stay in shape and keep working on my body. Mostly, I'm working out to support my other sports, because I'm more of a fitness athlete than a bodybuilder. My training routine in the offseason wasn't much different from my pre-contest training routine. I did more gym workouts when I prepared for a contest. As a budding actor, I need different skills to increase my chances to be successful like dancing, martial arts, stage combat, and acrobatics. I also need great physical fitness to endure rehearsals, shootings, and shows that last many hours or days. In preparation for my contest, I used 5-6 gym routines per week. I keep it simple with full-body workouts which mix weights and bodyweight training in a 6-25 rep range. I do the same amount of protagonist and antagonist exercises to keep solid balance. I have good shoulder and leg genetics, so they don't need additional exercises in gym. Ballet, martial arts (especially boxing), and acrobatics are awesome workouts for my legs and shoulders. I keep it simple and eat every three hours. I got stronger and lost 18 pounds (8 kg) of fat on this supplement and diet combination. When I'm not preparing for a competition, I only use zinc, Kre Alkalyn, and protein because I'm a student and don't earn much money. I compare life to a mountain. Always head for the top of the mountain and never look back because it will only bring you down. If you think of the past and get distracted by regrets, you dissipate your energy for the present. You must always have the mountaintop in mind, but keep your eyes on every step you take in the present. If one eye is fixed on your destination, you might slip away. Live in the present and seize the moment. You can apply this metaphor to bodybuilding! I've been a fan of Arnold Schwarzenegger and Jean-Claude Van Damme since I was a child and loved characters like Batman, Superman, and Son Goku. The heroes impressed and inspired me my whole life and I wished I could be like them. I can't fly or shoot laser beams out my eyes, but I can get stronger, faster, and more muscular. I rarely lack motivation and when I do I shouldn't go to the gym because I might be very, very sick. When it happens, I visualize what I want to be, why I'm doing it, what are my goals, and then drive to the gym. My next competition is the German Fitness Championship of the DFFV in the mister fitness or mister Adonis class. It's not a classic bodybuilding contest; it's more like the physique class of the IFBB. I prefer the fitness model look with body fat around 7-8 percent. This physique allows me to stay flexible for other sports and have a larger spectrum of roles I can play on stage or in films. My main focus is on my music and acting career, but fitness is a major part of it. Focus on the present. A good traveler is not intent on arriving. Tighten your mind and stay focused on what you do in the moment with discipline, consistency, and ambition. Keep a good balance between hard work and rest for your muscles, mind, and soul. Don't get discouraged by others. Do what you do for yourself. Don't let someone else rip your dream apart. Stop thinking, stop doubting, stop complaining, stop making excuses and start doing. Embrace your dreams! Frank Zane is the most aesthetic bodybuilder of all time and his physique is the best. 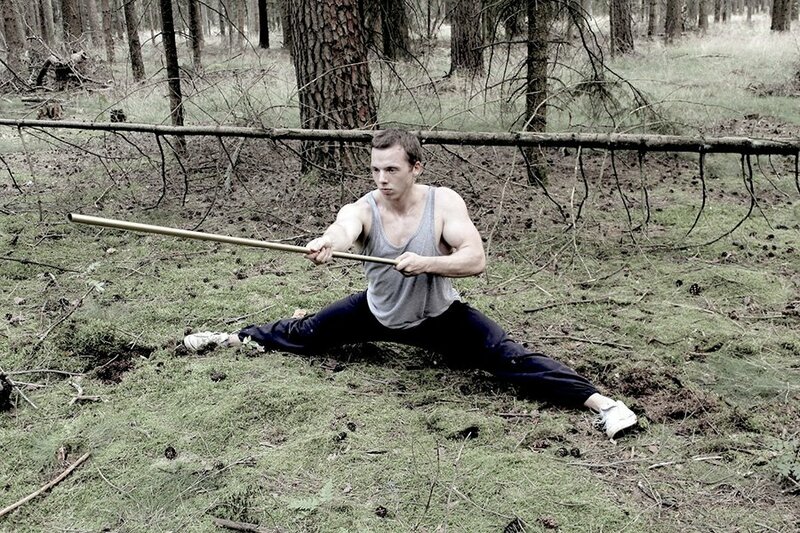 I admire Jean-Claude van Damme as a great martial artist. 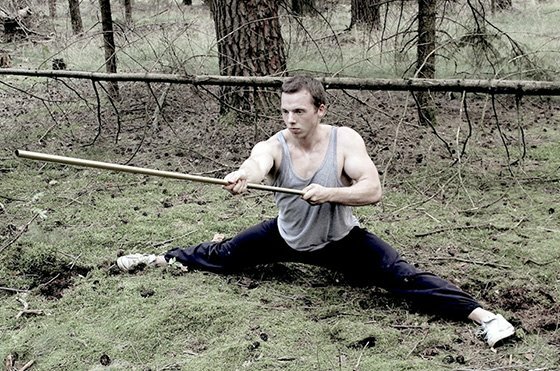 He combines a great shape with strength and flexibility (a lifetime goal for myself). Of course, Arnold Schwarzenegger is numero uno. My first steps into bodybuilding started on the internet. One of the steps was typing "Bodybuilding" into Google and landing on Bodybuilding.com. 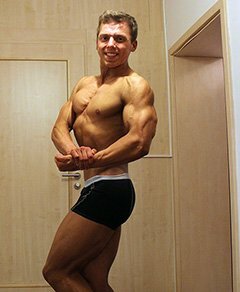 On Bodybuilding.com, I found answers, read many articles, and tried lots of different programs.